Au Shop Kokutaidouro is running full steam in it’s newly renovated store on Route 23, and is making October special for its customers. The Au store just completed a renovation, and is welcoming customers to ‘take a look’ and at the same time, take advantage of special offers and discounts throughout October. The store is located between Kadena Gates 1 and 2. 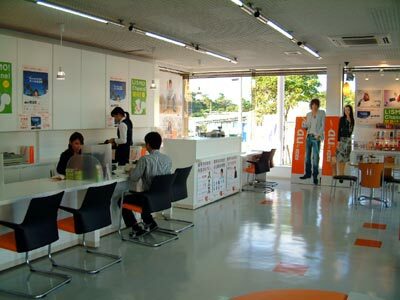 A full service cellular service store, Au Shop Kokutai has been serving the military community for years, and strives to make business always easier for foreigners. Its staff includes two American employees. 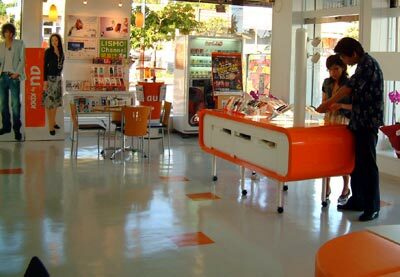 The store manager says there’s never a communications problem because all Japanese staff are bilingual. The store is open Monday through Friday 10am~8pm, and 10am~7pm on weekends.